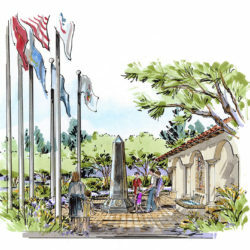 RJM Design Group has worked with the Orange County Cemetery District to provide design services for the El Toro Memorial Park site since 1998. 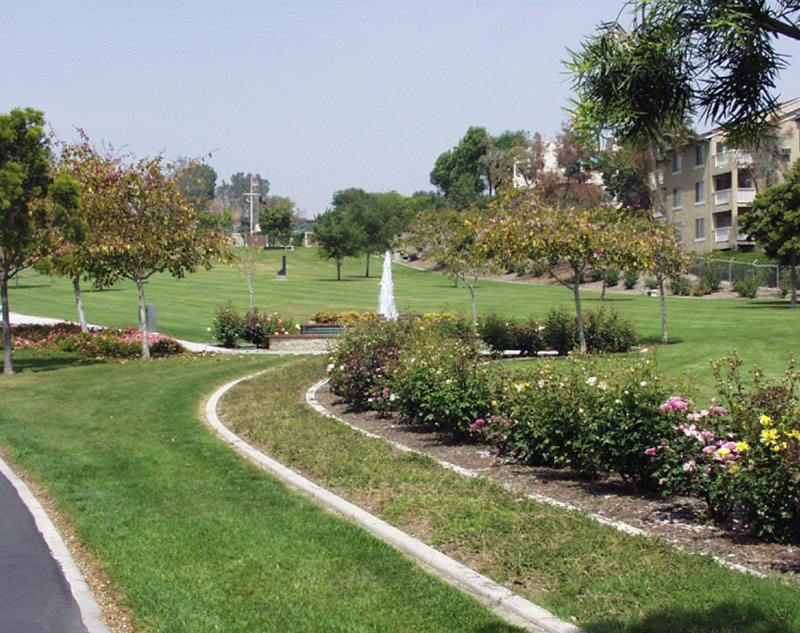 This work has provided for a series of related projects in response to the growing needs of the demands of the South Orange County community. 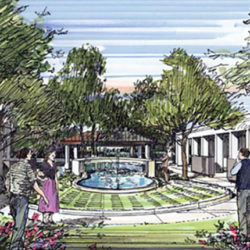 An overall master plan was developed at the outset to define the property’s overall character and organization. 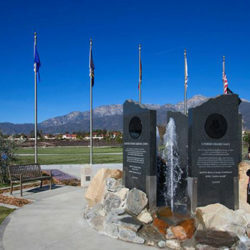 12-acre park expansion providing for loop road circulation, in-grade interment sites and secondary vehicular access from Old Trabuco Road. 4,000 square foot administration building. This facility provides for the administrative seat for the District offices. The building provides for an entry/arrival count, conference room, administration offices and bereavement meeting/consultation areas. Niche garden and in-ground interment garden. 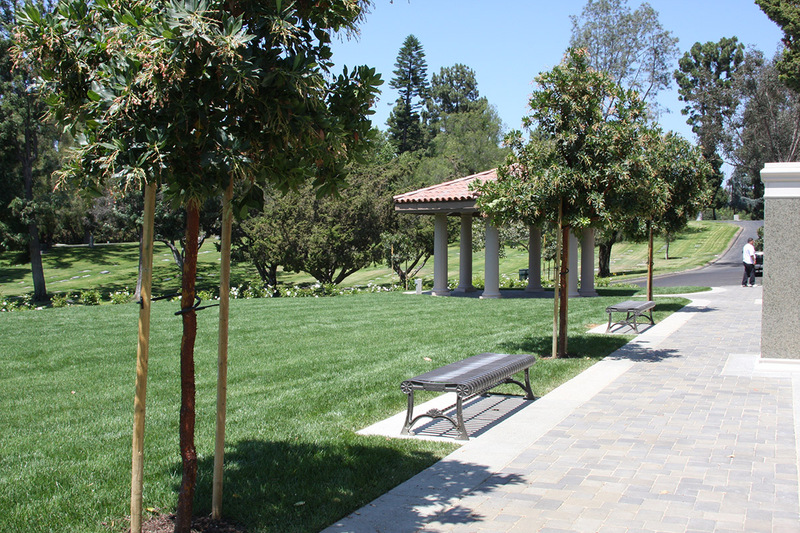 This project was constructed on the site of the original, modular administration building, which was replaced by the new administration building. 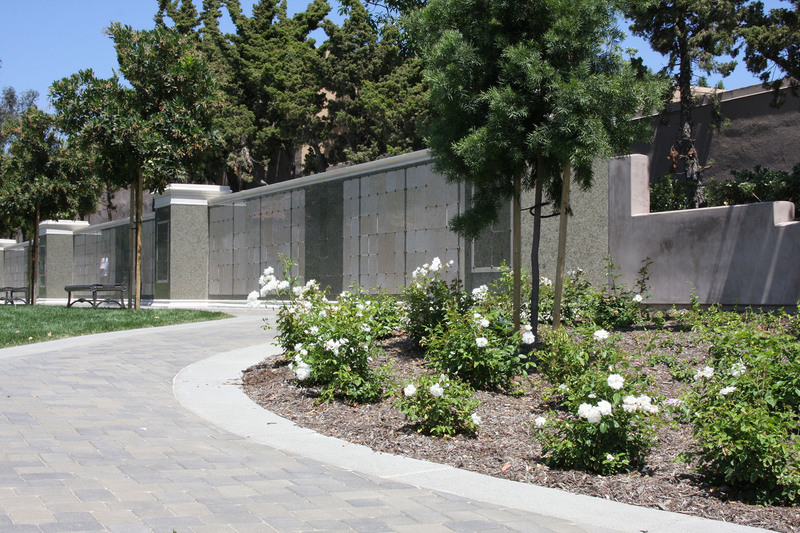 An existing masonry retaining wall was utilized as the structural foundation for the construction of 800+ granite-veneered niche enclosures. 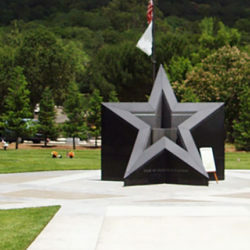 Traditional in-ground interment sites have been provided as well as a committal chapel to host memorial services.